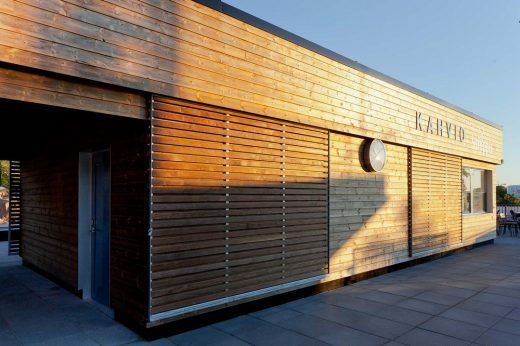 Centrally located in Turku, Finland’s oldest city, the Samppalinna outdoor pool and its associated facilities recently underwent a complete facelift. 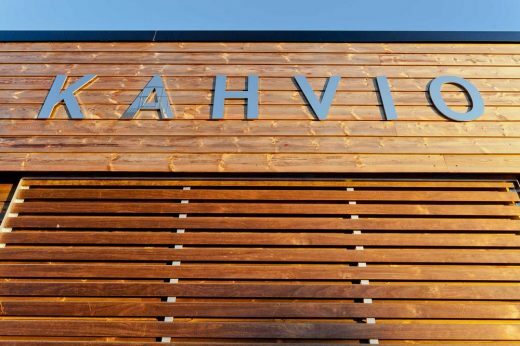 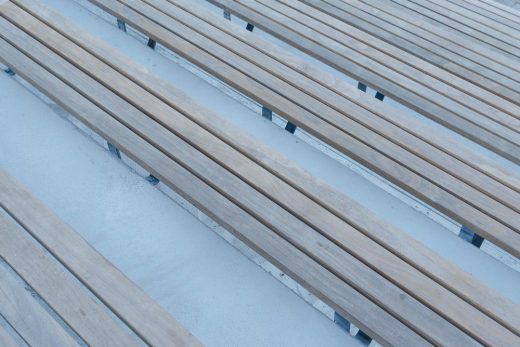 Architect Mikko Lemmetti, Head Designer at LEMMETTI, chose Kebony, a beautiful wood recommended by leading architects, for the pool house cladding and outdoor tiered seating as well as the siding in the bathroom. 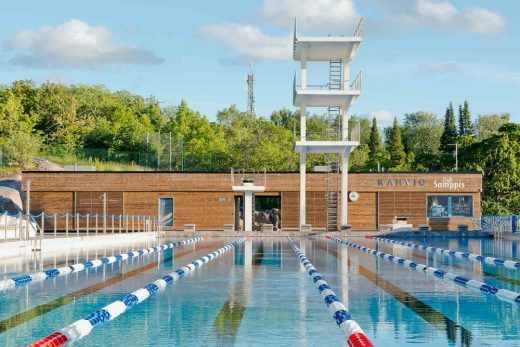 The Olympic-sized pool was one of eight outdoor swimming pools built in Finland during the 1950s, a period of economic boom and a notorious decade for Finland following the 1952 Summer Olympics. 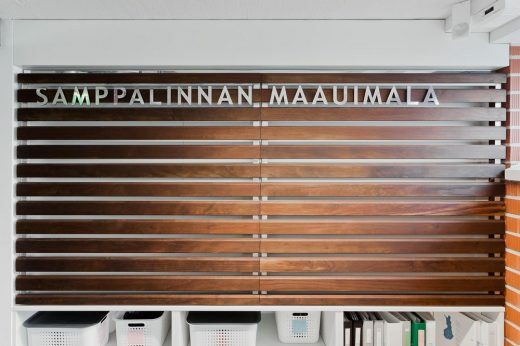 The primary objective for this renovation was to ensure the legacy of this historical building was protected and restored, with modern architecture adapting the facilities for the 21st Century.